AMSTERDAM — Reflecting the growing use of controlled-atmosphere (CA) technologies to maintain quality of fruits and vegetables over extended shipping times, Hamburg SÃ has transported more than 7,000 container shipments of perishable goods using Carrier Transicold’s innovative XtendFRESH atmosphere control system. Carrier Transicold is a part of UTC Climate, Controls & Security, a unit of United Technologies Corp. (NYSE: UTX). At Intermodal Europe, held here this week, Carrier Transicold and Hamburg SÃ, one of the leading ocean carriers in the South American segment, discussed the shipping line’s increased application of the XtendFRESH system for avocados and bananas. Hamburg SÃ’s shipments using XtendFRESH technology increased in 2017, and the shipping line expects to use it with an even broader range of perishables in 2018. 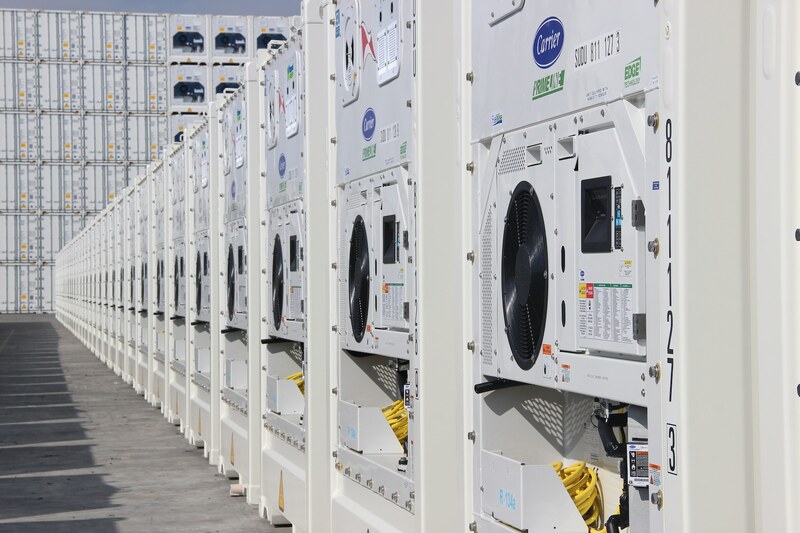 Hamburg SÃ, which collaborated with Carrier Transicold on system capabilities and testing during the development of the XtendFRESH system, began acquiring Carrier Transicold PrimeLINE units equipped with XtendFRESH technology in 2014. For more information about the XtendFRESH system or to conduct a trial, turn to the experts at Carrier Transicold or visit//www.carrier.com/container. Carrier Transicold’s new XtendFRESH™ container atmosphere control system uses innovative technologies to help maintain the quality of shipped produce, while extending shipping distances to enable growers reach new customers. Carrier Transicold helps improve global transport and shipping temperature control with a complete line of equipment for refrigerated trucks, trailers and containers, and is a part of UTC Climate, Controls & Security, a unit of United Technologies Corp. (NYSE: UTX). Considering its many benefits, the XtendFRESH system is designed to be more affordable than Carrier’s prior atmosphere control solutions and relatively easy to install on existing equipment. The XtendFRESH system actively controls oxygen (O2) and carbon dioxide (CO2) levels and removes ethylene, a hormone given off by ripening produce that will accelerate ripening if left unchecked. O2 and CO2 levels can be independently set at levels that produce optimum results for a given commodity. The system’s ability to remove ethylene, while managing O2 and CO2, is key to its performance and distinguishes it from other products for container atmosphere control. By slowing ripening, XtendFRESH significantly lengthens the amount of time produce can spend in refrigerated transit – by more than double in some cases. For example, bananas can be shipped for up to eight weeks rather than four, and beans for up to four weeks rather 10 days. “The XtendFRESH system will give the shipping industry a new, more economical way to implement container atmosphere control and, in turn, grow market opportunities,” Kumar said. The innovative XtendFRESH system has a patented self-regenerating activated carbon scrubber assembly that removes ethylene and CO2 created by the ripening processes occurring inside the container. As O2 is consumed by ripening produce, automated, on-demand fresh-air ventilation helps maintain the optimum O2 level for the specific cargo inside. No other product integral to the container actively manages CO2 and O2 and removes ethylene. O2, will typically be managed to a range of between 3 to 21 percent, and CO2, will typically be managed within a range of zero to 19 percent. Modular by design, the XtendFRESH system can be easily added to existing Carrier container refrigeration units equipped with the Micro-Link® 3 (ML3) controller. Key components include the scrubber assembly, a ventilation panel with integral blower, control software and sensors for monitoring O2 and CO2. Adding a humidity sensor provides additional atmosphere control, enabling humidity to be reduced to as low as 50 percent, as needed for cargo protection. The XtendFRESH system will be available as an option with new equipment purchases, and a special XtendFRESH provision will also be available for new units, making it easier to upgrade them with the XtendFRESH system at a later date. The XtendFRESH system is currently completing trials and Carrier Transicold anticipates availability later this year. For more information about the XtendFRESH container atmosphere control system, visit www.carrier.com/container. 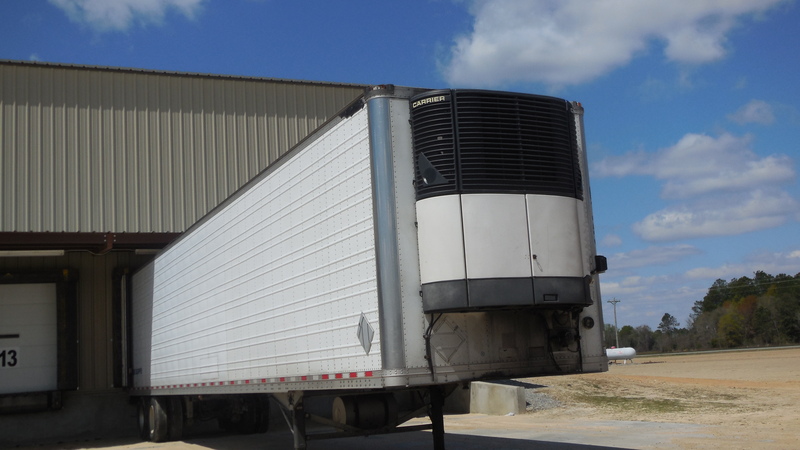 Carrier Transicold helps improve transport and shipping temperature control with a complete line of equipment and services for refrigerated transport and cold chain visibility. For more than 40 years, Carrier Transicold has been an industry leader, providing customers around the world with the most advanced, energy efficient and environmentally sustainable container refrigeration systems and generator sets, direct-drive and diesel truck units and trailer refrigeration systems. Carrier Transicold is a part of UTC Climate, Controls & Security, a unit of United Technologies Corp., a leading provider to the aerospace and building systems industries worldwide. Visit www.transicold.carrier.com for more information.